A-HOTEL.com - Luxury and cheap accommodation in Namoyeva, Russia. Prices and hotel, apartment booking in Namoyeva and surrounding. This indicative offer was derived from the most recently booked accommodation in Namoyeva and sort by the price, from cheapest Namoyeva accommodation to the most expensive hotels. To select accommodation by your preferences we recommend to choose from 1 accommodation offers in Namoyeva in total. By entering the dates of your overnight stay in Namoyeva and using the filter tools you can sort the best possible accommodation for you. The entered dates of your stay are crucial for the most accurate offer as it derives all the online information on pricing and availability of Namoyeva accommodation. Then you can book the selected Namoyeva lodging (hotels, apartments etc.) immediately. Located on Ukshozero lakeside, 35 km from Petrozavodsk city, this hotel features a sauna and a bar with a fireplace. It also offers such activities, as winter fishing and boat rent. Situated in Kosalma, Dom u Ozera features ski-to-door access and a private beach area. Among the various facilities of this property are barbecue facilities and a garden. Guest house Shuiskaya Chupa is located in Shuyskaya Chupa and has ski-to-door access, water sports facilities and a garden. Featuring a 24-hour front desk, this property also provides guests with a terrace. Situated in Shuya, Country Club Edem provides a private beach area, BBQ facilities and terrace. Boasting a tour desk, this property also provides guests with a children's playground. Shuyskaya Chupa Resort Village is set in Shuyskaya Chupa. All units include a fully equipped kitchen, allowing guests to prepare their own meals. Set in Chalna in the Karelia region, Holiday home Matkachi features a terrace and lake views. Guests staying at this holiday home have access to a fully equipped kitchen and a balcony. Located in Shuyskaya Chupa, 27 km from Petrozavodsk, Zagorodny Club Aviaretro features a private beach area and free WiFi. The country house offers a TV and a private bathroom with free toiletries, a hair dryer and shower. Set in Shuya, Hotel Verhovie provides accommodation with private terraces. Featuring room service, this property also welcomes guests with a restaurant and a seasonal outdoor pool. Located on the banks of the Shuya River in Petrozavodsk, Karelskaya Usadba Hotel Complex features an on-site restaurant serving Russian cuisine, a sauna, and free Wi-Fi. Rooms here provide guests with a TV, DVD player, towels and linens, and a private bathroom. SCANDIK Guest House is located in Konchezero and offers a private beach area, barbecue facilities and a terrace. Situated on the beachfront, this property features free WiFi. Holiday Home Kotiranta is a holiday home set on the banks of lake Pertozero next to the Konchezero village. A sauna and barbecue facilities are offered. Yanishpole Hotel offers accommodation in Yanishpole. Guests can enjoy the on-site restaurant. Boasting a private beach area, a garden, and a terrace, Country House by Pertozero features accommodation in Konchezero with free WiFi and lake views. Set on the beachfront, this property has a shared lounge. Motel Prival offers rooms in Yanishpole. The accommodation provides a 24-hour front desk as well as free WiFi. Located in Vilga Village next to E105 and M18 Highways, just 7 km to Petrozavodsk, Hotel Vilga offers a 24-hour reception. Onezhskoye Lake is 10 km away. Located in Pert-Navolok, Holiday home Prongs offers a self-catering wooden holiday cottage with lake views and free WiFi access throughout. The property benefits from on-site private parking facilities free of charge. Территория provides accommodation with a kitchenette, situated in Yanishpole. Each unit is fully fitted with a washing machine, a cable flat-screen TV, a sofa bed and wardrobe. 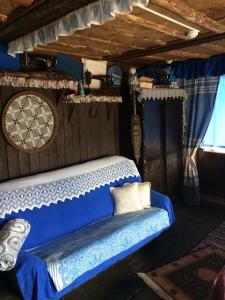 With mountain views, U Plotnika is set in Yanishpole and has accommodation with a kitchenette. Fitted with a terrace, the units feature a flat-screen TV and a private bathroom with shower. Located in Yanishpole, Territoriya Uyuta offers accommodation with a terrace. All units feature a flat-screen TV, a private bathroom and a fully equipped kitchenette. Ranta is offering accommodation in Mart-Navolok. All rooms feature a kitchen and a private bathroom.